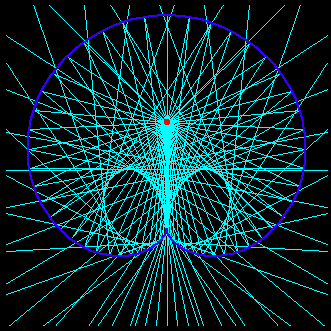 A Design based on the caustic rays of a Epitrochoid. 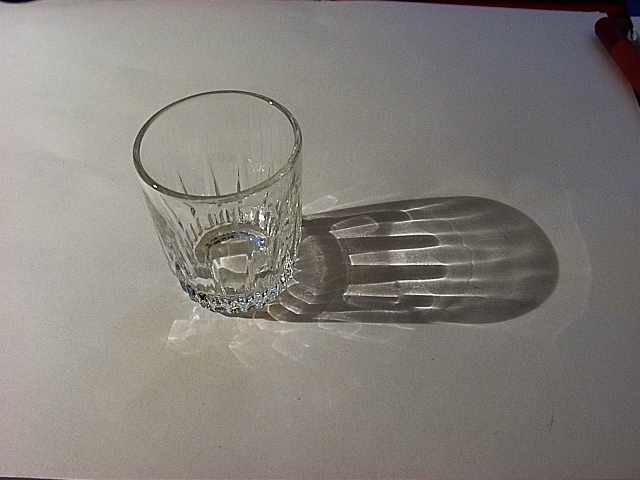 Caustics were first introduced and studied by Tschirnhausen in 1682. Other contributors were Huygens, Quetelet, Lagrange, and Cayley. 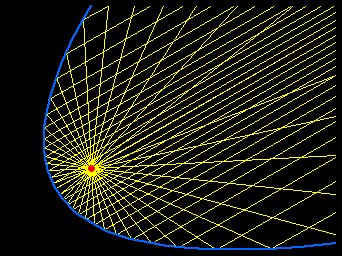 Caustic is a method of deriving a new curve based on a given curve and a point. 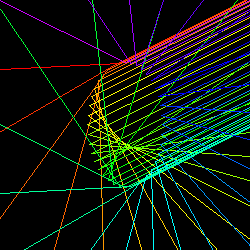 A curve derived this way may also be called caustic. 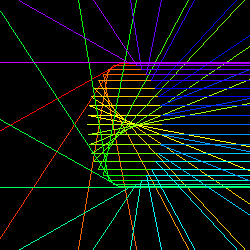 Given a curve C and a fixed point S (the light source), catacaustic is the envelope of light rays coming from S and reflected from the curve C. Diacaustic is the envelope of refracted rays. 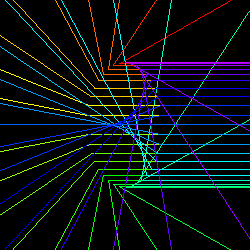 Light rays may also be parallel, as when the light source is at infinity. 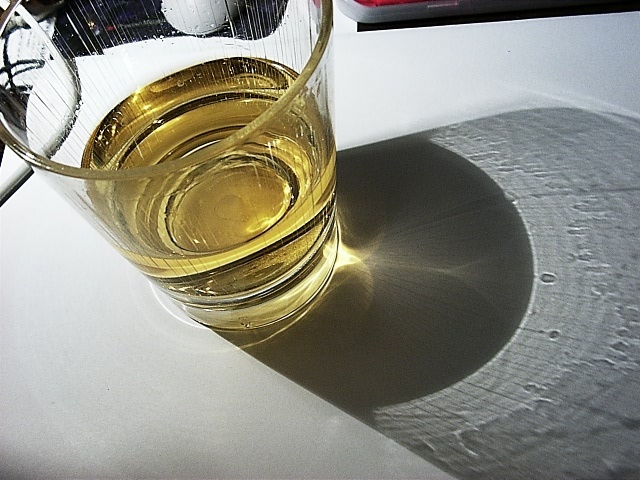 Caustic do not always generates a curve. 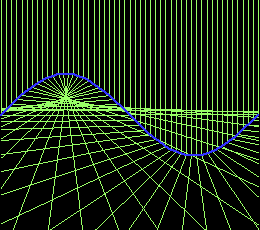 For example, the light rays reflected from a parabola's focus do not intersect, therefore its envelope do not form any curve. 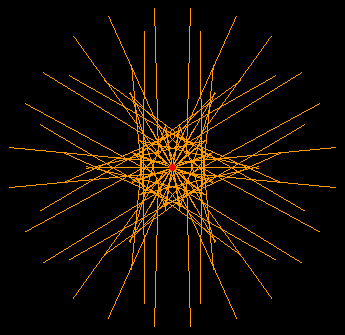 Another example is illustrated by the catacaustic of a astroid. 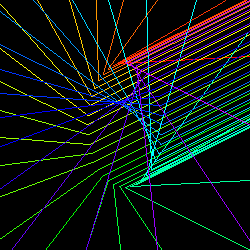 Catacaustic of a curve C with parallel rays from one direction generate a curve that is also the diacaustic of the curve C with parallel rays from the opposite direction. 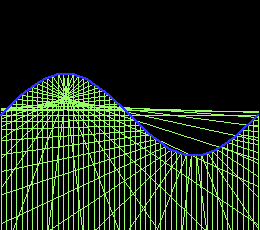 Catacaustic and diacaustic of sine curve. 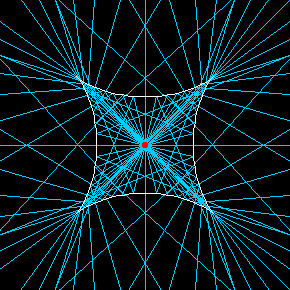 Catacaustic and diacaustic of a ellipse. 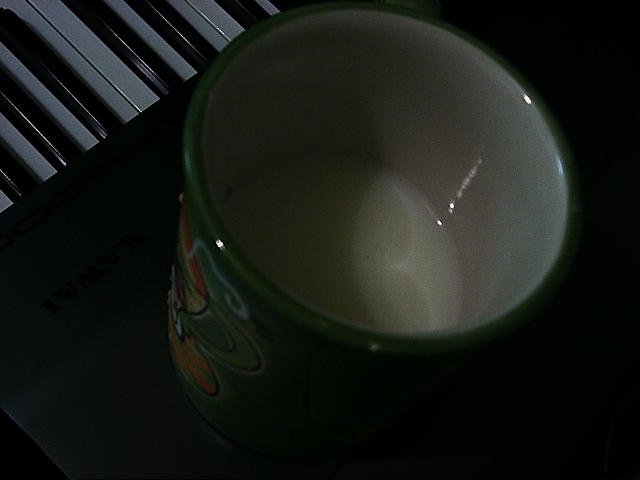 A photo showing a cardioid formed by light rays reflected in a cup of milk. 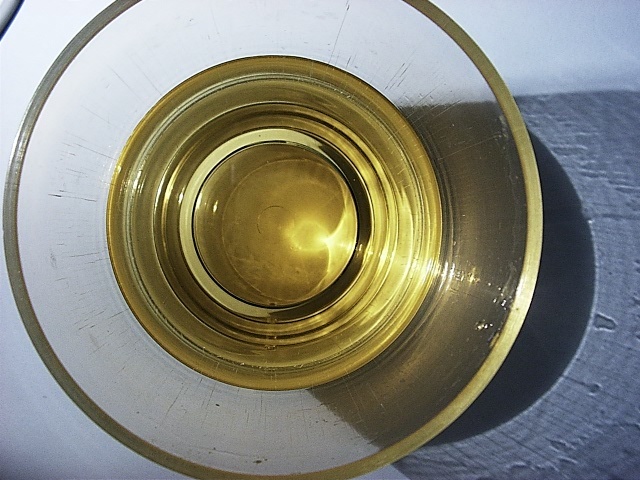 More photos: apple juice in glass; 2; crystal shotglass.